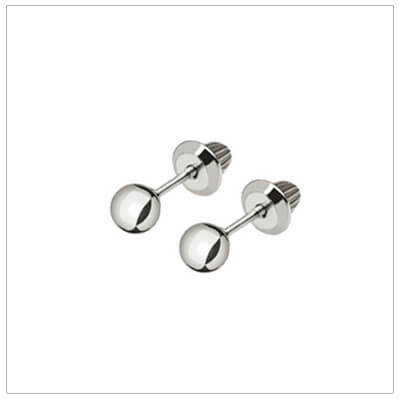 Classic ball earrings in 14kt white gold. 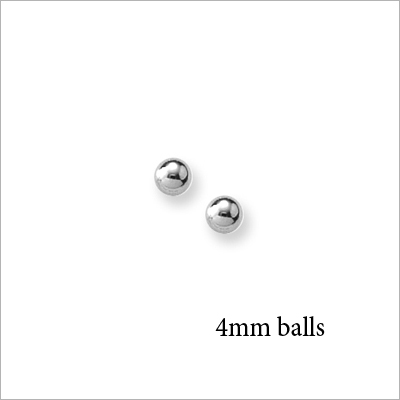 14kt white gold ball earrings with 4mm balls for babies, toddlers, and children. 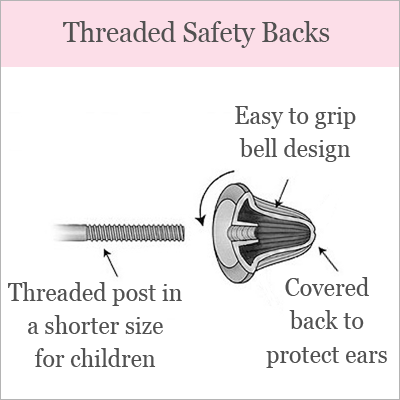 14kt white gold balls and screw back earrings.